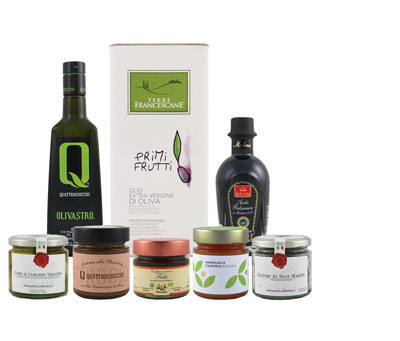 The Cassini family farm grows exclusively Taggiasca olives, and the Extremum line of extra virgin olive oil is the best of the best, made from a single grove of 400 trees that produce around 1500 bottles of oil each year. Typically a light and delicate oil, the Taggiasca Extremum elevates the expression of the olive to create an intense, fruity oil that finds harmony with its bitter and pungent counterparts. The aroma has notes of artichoke, chicory, mint and rosemary. On the palate it suggests nuanced flavors of bitter almond, musky pine, cinnamon and black pepper. Use this complex and elegant oil to enhance both raw and cooked vegetables, seafood and fish dishes, soups, risotto, soft cheeses, and roasted white meats.